Waiting For Maggie: Here's Maggie's Ad! I just received an email from CHSFS. 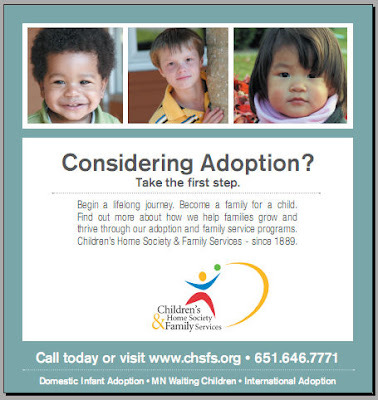 Here's a preview of the ad that will be running in Mpls./St. Paul magazine.